Welcome to our 10 in 10 series marking 10 things that have left a clear imprint on Tacoma over the past decade. A remarkable confluence of outstanding institutions, individuals and ideas have made this city the progressive urban center it is today. 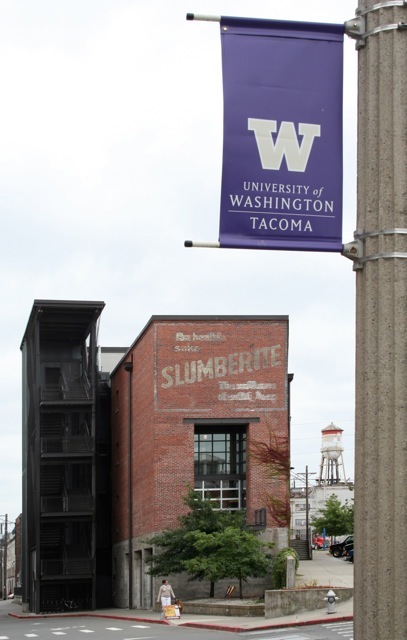 Two bright stars on the educational scene were established in 2001: Tacoma School of the Arts (SOTA) and the Urban Studies Program at the University of Washington-Tacoma (UWT). A successful alternative high school and a groundbreaking university program, respectively, they’re just a decade old – but we can’t imagine T-town without them. 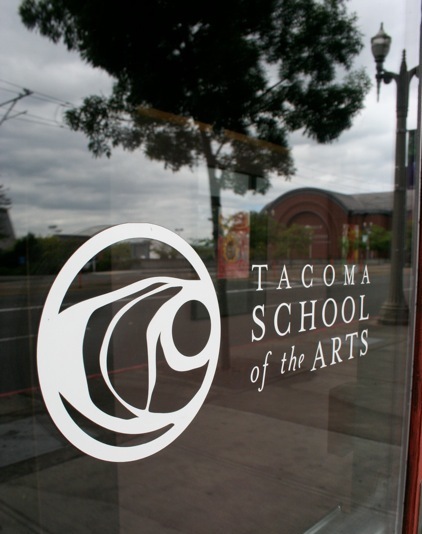 The arts are a defining element of Tacoma life, and SOTA is one of its proudest institutions, challenging high school students (grades 10-12) with a rigorous curriculum that fully integrates academic achievement with the visual and performing arts. SOTA was one of three Washington State recipients of the inaugural Schools of Excellence in Arts Education Award, under the auspices of the John F. Kennedy Center for the Performing Arts Schools of Distinction in Arts Education Awards. It was founded with support from a $450,000 grant from the Bill & Melinda Gates Foundation. 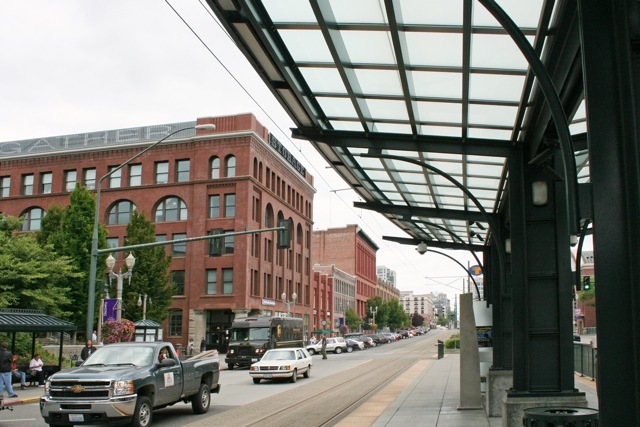 Classes are held in 10 different buildings in downtown Tacoma including the Broadway Center for the Performing Arts, Tacoma Art Museum and UWT (the buildings are all located within one square mile and students ride the Tacoma Link light rail between classes). SOTA career counselor Michaele Sein-Ryan notes that the school’s “five hundred 15 to 18 year olds ‘going to work’ each day in downtown Tacoma [bring] creative energy, fresh perspective and a little lunch money” into town. With such a small student body, the average SOTA class size is low and students are closely mentored by faculty and adjunct staff in pursuing academic and artistic goals. SOTA students catch the Link light rail to class. Photo: Kristin Giordano. SOTA also gets high marks for offering students unique learning opportunities such as internships with local businesses and service trips abroad. “Many of our graduates have returned to the downtown post-college to continue their participation in this community,” says Sein-Ryan. 2006 SOTA grad Rebecca Solverson is Arts Liaison for the City of Tacoma, assisting Arts Administrator Amy McBride in running the City’s complex schedule of programs and projects. Vivian Irish, recently named head chef at Maxwell’s bistro, undertook her culinary path in earnest through SOTA when she received a senior-year internship at the highly rated Pacific Grill. She was hired by the restaurant full-time the day after graduation, in 2007, and now heads up one of the city’s most creative kitchens. 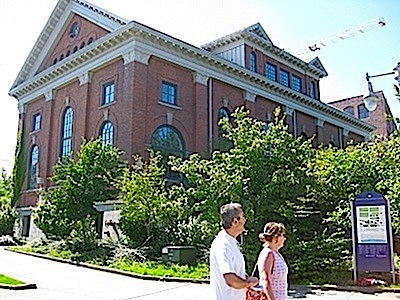 The University of Washington-Tacoma was established in 1990 in Tacoma’s century-old Warehouse District, and it is often cited as the catalyst that begat the downtown renaissance. Twenty-one years and 10,000 graduates later, UWT continues to flourish and grow as a partner in the community. The Urban Studies Program is by definition “a signature program of the university because [UWT] is an urban metropolitan campus,” says Lisa Hoffman, Ph.D., Associate Professor of Cultural Anthropology and the department’s interim director. It is the only such program in the state, offering Bachelor Degrees in both urban studies as well as the new Sustainable Urban Development Program. Founded in 2001, urban studies has significance in this region and beyond: “We’re doing innovative things to prepare students for the problems of the future – that we don’t even know exist yet.” The program’s overview is global. In the words of UWT Professor Brian Coffey, Ph.D., it seeks “to instill in students an understanding of and appreciation for the complexity and diversity of the urban environment and urban trends across the globe. A concern for social justice and the quality of life in cities are cornerstones” of urban studies. “Students need to understand that what happens here is related to global processes,” says Hoffman. Urban studies runs an international program in Holland and offers learning opportunities in other European countries. But the strengths of the interdisciplinary approach are most visible right here in Tacoma: “We have a lot of students who are deeply engaged in community service here,” she says, pointing to the Zina Linnik Project at Wright Park, and at McCarver Elementary School where UWT students are mentoring fifth graders. Local involvement is a key factor in keeping students here after graduation: “Students who get involved with the community through their course work, stay. They care. They get to know people.” And one outcome of that connection may be future employment. But there is a wide variety of approaches to community building; for instance, UWT students educated in Geographic Information Systems (GIS) use computer mapping tools to study issues involved in urban planning. Open discussion with civic leaders is an important component of the Urban Studies Program, contributing “to a healthy social structure” and “an educated citizenry and workforce,” according to the UWT website. Urban studies is an area that will see increasing importance in the decades to come.